Oyo State governor, Senator Abiola Ajimobi, who is the candidate of the ruling All Progressives Congress (APC) for Oyo South Senatorial District, has lost in four among the nine local government areas that constitute the district. In the results that have been announced so far in five local governments by the Independent National Electoral Commission (INEC), Ajimobi lost to the candidate of the People’s Democratic Party (PDP), Dr. Kola Balogun in four LGAs and won in one. The nine local government in Oyo South are Ibadan North, Ibadan North East, Ibadan North West, Ibadan South East, Ibadan South West, Ibarapa Central, Ibarapa North, and Ido. In the results that have been announced so far from five local government, PDP won in four local government areas. In Ibadan North, APC polled 17,947 and PDP scored 18,630. The candidate of African Democratic Party (ADC), Senator Adesoji Akanbi polled 10,202. In Ibarapa East, APC had 6,951 and PDP scored 19,982. Also, ADC scored 3,670. The result from Ibarapa North showed that APC polled 5,837 and PDP scored 8,083. ADC also polled 2,536. In Ibadan North West, APC had 8,916 and PDP scored 12,144 votes, while ADC had 5,819 votes. 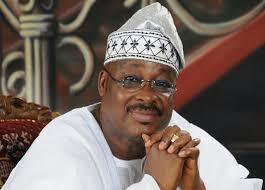 Ajimobi, however, won in Ido Local Government as APC scored 8,668 votes, PDP had 8,108 votes and ADC polled 5,265.